Tower 7 Baja Mexican Grill is a sister restaurant to Wilmington’s famed K-38, and is a Fresh Mex joint that is extremely popular with the surfer crowd, and everyday locals and visitors alike. Serving up a wealth of Mexican cuisine that’s been uniquely infused with classic southern flavors, this restaurant allows patrons to enjoy a tasty new spin on traditional Mexican grub. 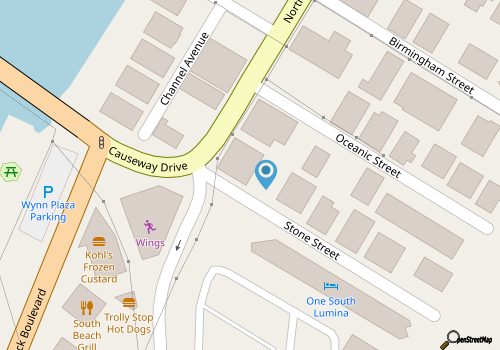 Tower 7 is located just off the Causeway to Wrightsville Beach, a block or so away from the ocean, and close to a host of shops and restaurants. The menu is big and bold, with categories dedicated to appetizers, Beach BBQ, fajitas, enchiladas, burritos, wraps, quesadillas and salads, and every section has a couple of unique dishes and flavors to try. Mexican food fans will want to try the Angry Chicken or Shrimp as an appetizer, (which boasts Heck or Hell Sauce, gorgonzola ranch dressing, and celery), the classic chicken, shrimp, carne asada or yellow fin tuna fajitas, or the big burritos, which are a Tower 7 classic. With cool southern options, like pulled pork nachos, low country grilled cheese, or “Hoppin Juan,” diners can experience how great Mexican and southern flavors can taste when cleverly combined. Call (910) 256-8585 for current hours.